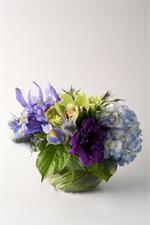 A mix of spring flowers in an antique tea cup! 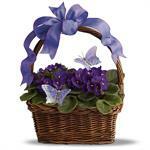 Beautiful violets in a basket - we like to add birds and butterflies to ours! 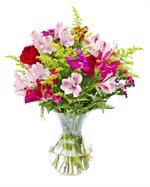 Bells of Ireland and lilies with spring and summer flowers in clear vase. 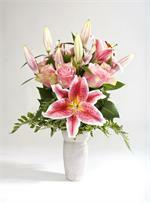 Lovely flowers in all shades of pink combined in a vase with a Stargazer Lily - a show stopper! 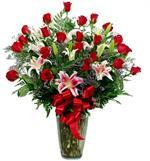 Measures 24" taller - or taller! 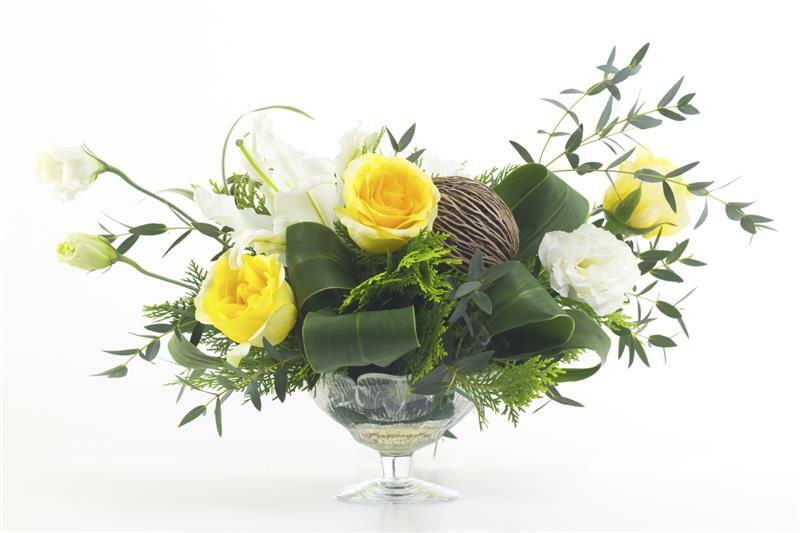 Monochromatic blooms are amazing! 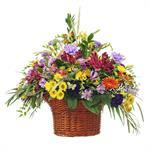 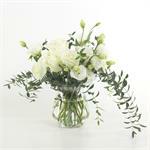 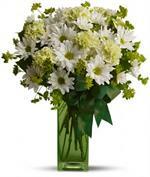 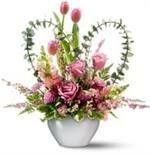 We design them in a lovely vase and use seasonal flowers and foliage. 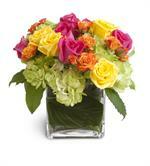 Our favorites are roses, hydrangea, phlox, lisianthus, snapdragons, and ranunculus. 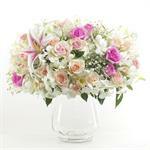 Phalaenopsis orchid in white or purple - please call us for additional sizes, colors and orchid varieties. 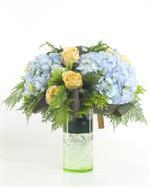 Green or Blooming Plant in a Birdcage!